It was 2012 when I took on and met my first full marathon challenge, 5 years ago, one of those “things to do before you’re 40” bucket list kinda things I suppose, plus I’d already been managing half marathons previously for a few years and wanted to push up the challenge. A lot had happened since that last event in my life, amongst them the agony of a Mortons Neuroma in my left foot, which made even walking painful for over a year until FINALLY after doctors, podiatrists etc. sent me back and forth then eventually for the scan that confirmed I did in fact have the MN that I had guessed I had through googling and observation of my symptoms. This meant I could be referred for a cortisone shot in 2015 that reduced the pain I’d been suffering so long. I could not understand why they could not have just sent me for the scan at the start and saved me so much stress & discomfort! In addition to this I had been on a hike/walk over in Millport, a small island off the West Coast of Scotland, where, after taking a wrong walking route, ended up in a field where I was bitten by something on my leg. To this day I do not know what it was, all I know is I had 2 bites that flared up every few months and a heap of Lyme disease or Autoimmune type symptoms that caused me to feel awful most of the time in one way or another, it was like my body was under attack and I didn’t even know what the enemy was. Again the doctors, only at my request, tested me for Lyme, late stage, as this was now a good couple of years that these bites kept reappearing as if I’d just been freshly bitten then subsided but never went away completely, it was very odd, stressful and incredibly tiring. Not only that the doctors made me feel like I was silly to suggest the bites were the same ones that kept flaring up, and the Lyme test came back -ve, but they tried a course of anti-biotics which again still left me having to just try to manage to get through suffering. A friend on FB suggested a course of Oregano Oil and very kindly sent up some for me to try. I dosed myself with a few drops every day in ginger/lemon/honey tea and low and behold a few weeks later I felt just a bit better, certainly the edge of symptoms seemed to be taken off but I was still in a land of health limbo totally unsure if or how I would be able to feel “normal” again. It was depressing, debilitating, lonely, tiring and a chapter I am very glad to glance back on now in a far healthier state and be far removed from, but it took a battle, discipline with food, reducing inflammation in my system and sheer determination to get well again. Then as if dealing with all that wasn’t bad enough I opened myself up into the first close personal relationship I’d had in years and that turned out to be yet another battle I had to face as it did not end well to say the very least, this left me in another health mess of CPTSD and struggles that almost broke me, again, receiving assistance and the right support seemed hard to get, so I just had to read, study, self help through online resources, in my cocoon of safety until I felt I could peek out, maybe even stretch my wings and then attempt to fly again, or maybe even truly for the first time! At least I had music to keep me going through these trials. 2017, all of that drama behind me, mentally stronger than ever, physically almost back to my old self, already running good distances, and the email reminder for the Edinburgh Marathon hit my inbox around Xmas/New Year. Something pulled my gut towards signing up for this challenge and I decided I was going to go for it! 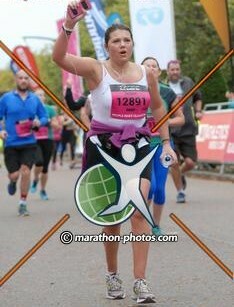 My “come back” run, a 26.2 mile stamp of my feet to everything that had tried to break me and show it all that I was stronger, that all that stuff didn’t win, that I was the winner! Towards the tail end of 2016 I had begun hillwalking, still with some residual foot pain from the MN, but bearable, what was less bearable was being grounded and not getting to enjoy outdoor adventures and exercise in life the way I wanted to. It’s amazing how grateful you can be for a relatively pain free walk when you’ve had to endure months where every second step was in some way painful. I was determined to heal this thing, I’d read it was possible. The support of hillwalking boots and insoles seemed to help over time, and it wasn’t long before I got roped into climbing my first Munro! 2nd January we hit Ben Lomond and I had a couple of slips on the ice, just enough to cause my right knee to have issues for a while, so that was me out of commission for a bit and somehow I overdid it that day and it brought on a bout of CFS and generally feeling pretty awful again which was pretty horrid, not only that I was now wondering if I’d be able to keep training for the marathon. Managed by end of January to get out for a run again and began building my strength back, it felt so good to be able to run again, a few aches and pains here and there but nothing compared to the pain of not running, for mind, body and soul, it had for years become the injection I needed. By March I even braved a few more MUNRO climbing missions and I was upping my distances, it was looking good! The marathon gig was on! Whilst injury free and not wanting to temp fate I cut out on the MUNRO missions to focus on just running, getting my distances up and doing my utmost best to stay injury free! It was all going pretty well, hadn’t quite pushed up my distances up as far as I’d hoped by tapering time but 19 miles was going to have to be close enough. The next 3/4 weeks was just spent enjoying shorter 10 mile runs in different locations, even back to the island I got bitten on. I ran round it on a lovely sunny day, just for a change of scenery, briefly remembering the episode of weird symptoms that began there years before and was just so glad it was over! The final week, Monday, I was all set for the run the following Sunday, a slightly unwelcome disruption that I could have done without, my flat was having new windows fitted, so I had to move stuff to allow for the works, get my cat to my friend for the day and have my day turned upside down. I helped my neighbour move a chair for the same reason and thought nothing of it till I woke that Monday morning with a ridiculous hamstring/glute pain which seemed to have come out of nowhere, the only thing it could have been was the chair lifting! Ahhhhh….PANIC!!! Of all the things to happen! By Tuesday it wasn’t much better, I was having to have a chat with myself about the possibility that I may very well just have to cancel the run altogether but I had a few days to do everything possible to get this mystery pain to go. Resting, compression, massaging, hot baths, cold compresses, the works…and by Friday it had eased enough for me to try a short slow paced 2 mile jog with support bandage, which I did and nothing tore or left me in agony, so I decided I was going to AT LEAST try to run the marathon but be sensible to chuck it if it got too painful. Saturday prepared, kit all layed out, food shopping done and housework done so I didn’t need to do much after I returned from the event in whatever state that may be! Lol! Saturday night got crazy indigestion and couldn’t sleep so was awake till about 3am and was up at 6am to get breakfast and be in time for the train to Edinburgh that would get me to the start line in time. Tired I got on the train, nervously excited, the buzz of all the other runners around, about to descend upon the streets to undertake this mission of endurance, all likely similar to myself with some focus or reason in their mind for doing it! Met an interesting lady from New Zealand on the train, a fellow spiritually conscious empath as serendipity would have it, and we hardly stopped chatting the whole way, from deep intellectual tangent topic to tangent and before I knew it we were there! A short walk now to dump my bag on the truck that would take it to meet me at the finish line and then to the start point at Regents Road! This was it, I was here, and determined to beat the odds and do this thing! The sun was shining, it was gonna be a hot one but I wasn’t going to be pushing it too hard for speed PB’s I’d decided, today it was just about making it through the finish line! I ran the first 10miles or so at a pretty decent pace but my foot and knee began nagging a bit and with the heat on top of that the next 8 miles or so was the most gruelling! Took a couple of paracetamol and extra carb sachets around 17 miles and found a second wind! The last 8 miles was actually pretty good and unlike the first time I was running the last mile struggling, this time I was happily running to that finish line, so thankful that the wee legs had held up, that the mind had not given up when it argued with me to stop, that the music on my playlist in my ears had helped me focus away from the pains of endurance. It was lovely to have the crowds shouting your name read from the number tags we had pinned on our tops! Go on Susan they shouted, well done, you’re almost there! And then that was it…I was through the finish line, it was like a blur, time becomes almost non-descript when you’re running for that long, it’s almost like a parallel universe place that is entered, perhaps that’s why I love it so much! A slow dazed wander now to retrieve my bag from the lorry, collecting my medal and goodie bag on the way, and stopped some chaps to ask if they’d kindly take a finish picture for me with my medal on. Turned out they were from Washington DC, maybe some connection to the recent visit from Obama, always nice to meet interesting people! I glugged down the banana protein shake, chatted briefly with a girl from London next to me and ate a banana whilst basking in the heat sitting on the grass with hundreds of other tired but happy people. Next headed to get the bus back to the city centre to catch the train home where I met a guy from Aberdeen and one from East London who had travelled up to do the race with his fiancé. Lovely to encounter such a diverse mix of lovely positive folks during my day out. A wander through town from the station to get home with the goodie bag in hand and medal rattling round my neck, nods and smiles of acknowledgement to the other occasional entrant passed on the way also making their journey home from the day. It was over, mission accomplished after all these months of discipline, pushing myself to train, testing times, injuries, faith and focus. Like a weight had been lifted, a new sense of lightness and freedom tied with gladness that I had successfully met my goal, in my own mind I had won, and more than just a medal. Woke up the next morning feeling like someone had beat me up my legs in my sleep! Lol! I could hardly get up out of bed and laughed as I struggled with the DOMS onset, by day two and after an Epsom salts bath the pains began to ease a bit and I was now looking forwards to the summer ahead with that feat of endurance behind me! 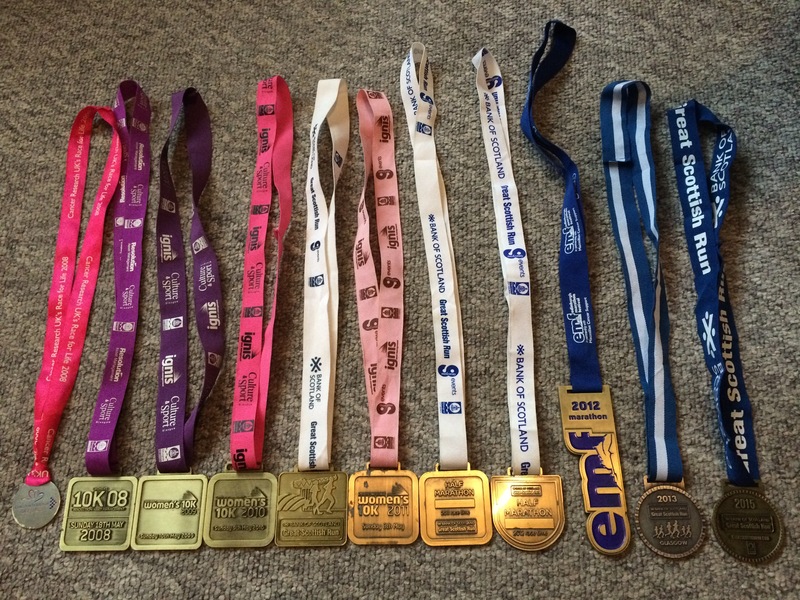 Why I run…thoughts after my Great Scottish Run Half Marathon 2015. Contemplating as I sit here on the couch under a blanket with cups of ginger/lemon tea, soggy hankies, a runny nose, bit of a cough and generally feeling the aftermath of this year’s running event. Glad at least that on a muscular level it only took 2 days for the worst of the burn to cool down in my legs and reflective of what was behind my motivation for doing this challenge in the first place. I was unable to run the 2013 event due to ill health in general from chronic stress overload causing all kinds of horrible symptoms and on top of that I somehow managed to develop a Morton’s Neuroma on my left foot, which for the last year or more meant that even walking was painful until at the beginning of August I was given a cortisone injection which greatly helped thankfully! Prior to this the previous 2 years were a challenging emotional roller coaster ride that ended in a painful crash. Healing from the damage that ensued after that soul wrecking experience was perhaps the deepest and most challenging thing I have had to go through, and I had to do it alone for many reasons that will probably not be understood by many or most. Alone was the only “choice” as many of the people closest to me were not helpful or supportive, and in fact added to the equation of negativity I was trying to solve. Only those healing from virtually a lifetime cloud of narcissistic abusive experiences will truly know the depths that this type of experience brings. It is a programming pattern puzzle only fully solved when the deepest shadows of the soul are brought to light found by looking deeper into the conditioning and circumstances that caused this to be a vibration I found so often in the first place throughout my life. Once this is understood, the metamorphosis can begin to change future life experiences creating them from a new mould. A new self that knows and understands healthy boundaries, has awareness of the red flags and NPD as whole, a new way of seeing the past which then can heal the present and allows the future to unfold with inner peace never known before. Breaking the co-dependency, the people pleasing syndrome, the seeking for external validation and seeing and understanding the dynamics of the meaning of love in a whole new way. The journey to real self love and acceptance. The last time I ran this marathon in 2013, my life was in the beginning of a turmoil that would unfold and reach a climax in 2014 and so to run this road again now and complete this distance was a huge sense of a comeback, a proverbial stamp I was putting on myself to say that I had won the battle through the emotional and physical hurdles of the past couple of years and built my strength back to where it was before it was challenged. Therefore, there was a lot in my mind hanging on my performance for this event. I was aiming and hoping to get close to my PB of just under 2 hours. The training on the run up to the race was sporadic and not my usual full on thing, twice I had to stop training due to first a pulled left calf, out for two weeks and then again my right, out again for another couple of weeks leaving me unsure if I would even be able to train for it. After some advice I changed my training routine and incorporated cycling into the mix which really helped build my core strength up, then I was able to run the distances again and began to build up my miles so at the beginning of September I decided I was going to go for the half marathon and do my best. It’s always emotional at the start line, especially for me as a sensitive empath soul. I did have to fight back a few tears as we did the warm up with the music booming through the crowds of participants and supporters all cheering and anticipating the 13.2 miles of tarmac ahead. Once through that start line it’s amazing what you tell yourself to keep pressing on. The first 4 miles are usually pretty easy, I ran them at a good pace, the next four a bit more grueling and uphill in parts, then the next 4 miles you know you are over the halfway mark and on the home straight to some extent but this is when it gets serious and you can see some stopping to walk and hear the tiredness in the pants and puffs of those running alongside, by that time the supporters cheers are even getting tired! Reaching the crowds on the home straight is always a great feeling, you know you’re practically there, so I pushed to try to scrape a few extra minutes off the race time and then threw a fist in the air as I thankfully crossed the finish line. Running has been something that has given me a sense of purpose, triumph, fulfillment, accomplishment and pride over these past few years since I started in 2008 with my first 5K Race For Life I built up to 10K’s, then half marathons and managed my first full one in 2012, another one being contemplated! I find having goals like this to aim for as a challenge help to keep me focused and disciplined, and create a physical parallel to balance the other more desk oriented work that I do. When I’m running my mind clears, or I think things through, pray even sometimes with music playing softly in the background as a constant ambiance from my Iphone playlist selection. When I’m running it doesn’t feel so bad being on my own, similarly with cycling. As a creative Empath soul, alone is something I have tended to be quite a lot of my life in one way or another. As an artist, creativity has no finish line, maybe lots of small deadlines to complete projects but no great finale and certainly no medals, so doing something like this in tandem with my musical productions provides me with a sense of satisfaction and accomplishment that so far I have not found in quite the same way through art. Music has been my running partner from the start. In the earlier events and training all I ever used to listen to was house music, a few years later down the line my selection is now a bit more varied with some other favorites added in there from the 70’s, 80’s and other classic favorites. During this run I particularly remember when TYREE – “ACID OVER” came on around 9K and that giving me a great boost! 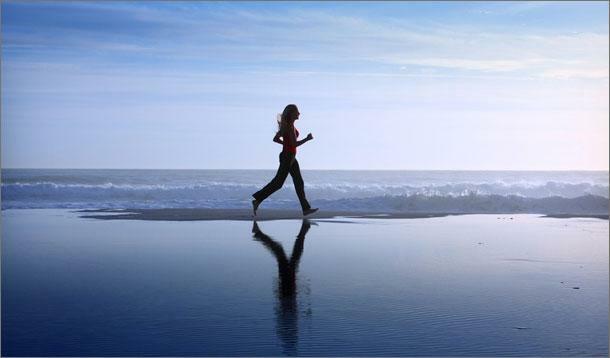 Going for a run with the right music makes me feel great, especially if there is a bit of sunshine, but even on the colder Autumn and winter days, that crisp fresh air and then coming home to a warm flat and a hot shower feels good to my soul. Participating in these bigger events allows me to feel like I am here, I matter, I am somebody, a runner, a something, I am a winner in this at least, maybe not in love, not so much in money, or even my music either to any great extent, but at least on these occasions I beat those that said I couldn’t or shouldn’t and I got my medals. I won them all with my valiant courage and determination and nobody can deny that or take that away from me. 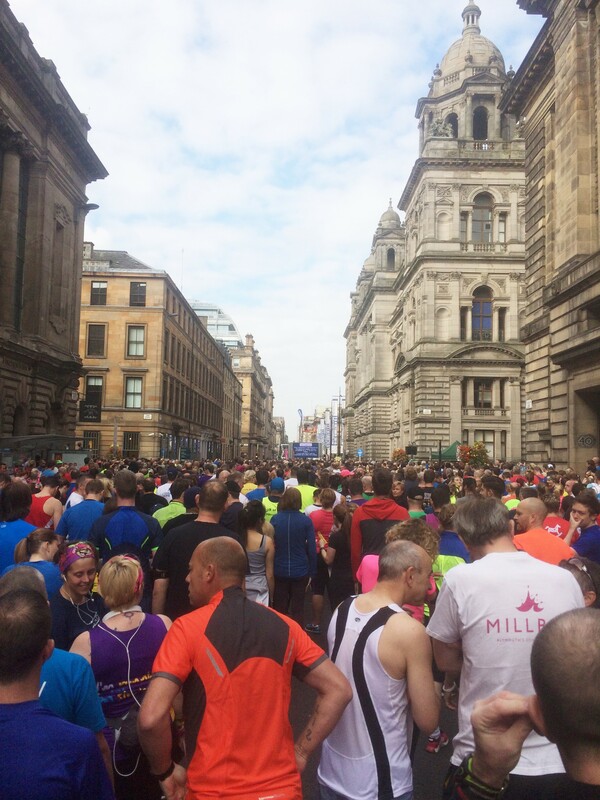 After successfully running my first full marathon in Edinburgh, May 2012, I did not feel the huge triumph I expected I would feel when I made it through the finish line. Part of this was probably due to pure exhaustion and dizziness in the heat of the day, the rest was being alone in my endeavour. I had nobody at the finish line to hug me and jump up and down to congratulate me, I was also a bit disappointed with my time, it was slower than I had hoped but considering the heat was as fast as I could manage at 4hrs 46 mins. Really I should have been happy just to get through the finish line having seen so many casualties along the way, but because of the way I am, quite hard on myself with high expectations and goals, I was truthfully disappointed. It was a mission to get home after the race. There were buses put on for people from Musselborough finish line back to Edinburgh where I could get the train back home to Glasgow. After drinking some fluids and wandering around in a daze on my own for a while in the heat, not able to sit down or feeling like doing that and feeling a bit queasy, I tried to head toward the way out where we had to walk for 45mins to get the buses, after about 5 mins I just felt too dizzy and sick, so had to walk back and ask someone if there was a toilet nearby, but there wasn’t and I didn’t feel I could walk far, so they gave me a chair and I sat and drank more water and just didn’t move for a bit. Thinking I was feeling a little better, I made my second attempt to head to the home run and yet again I walked for about 5 mins and had to turn back. I approached one of the stewards at the gate and had to ask for some help to get to the first aid or toilets, he very kindly offered to guide me there and also offered me an arm for some support to walk since I was feeling a bit dizzy. I won’t forget how comforting it was at that point just to have someone’s arm around me; I was feeling very alone after the whole experience watching others on the finish field with friends and partners to take care of them. While I was running the marathon and on the lead up to it, in my silly romantic imagination I pictured that some of my friends, or someone special would be there at the finish line to surprise me or throw me a party but of course that didn’t happen. There was no one. My mum could have been there but I thought it would be an awful long time for her to hang around so I told her not to worry but on hindsight now I wished I asked her to come. Instead my aftercare was now in the hands of some very young and not very empathetic first aid workers employed by the marathon co-coordinators. I didn’t feel confident or comforted being there, the only benefit was being out of the sun and having a seat to sit on. I changed out of my damp clothes into some dry ones, sat and drank some more water, continued to deal with “the runner’s trots” as best I could and settle my tummy till I eventually felt I could make the journey home. It was a good 45 minute walk in the hot weather to the bus and I was still not feeling good. I just wanted to get home or somewhere I could be comfy. I tried phoning a friend who lived in Edinburgh but he had gone out of town for the day, so I had no choice, it was the hike to the bus and a train home to Glasgow. I met fellow runner who was on his own and we chatted most of the walk to the bus which was a great distraction. Finally I sat down, still feeling a bit queasy and made it back to Edinburgh where the bus dropped us another good 20 minute walk from the train station. It seemed relentless now; I just wanted to get home. I met another couple of girls who were also walking that way, and again some banter helped to distract from the walk to the station but these girls had managed to run the marathon closer to the time I had hoped for which made me feel a bit crap again that I had not managed to hit my target. I had planned to come home and have a good drink and a few other treats to celebrate my success but I was still not feeling 100% so that went out the window. I had a couple of glasses of Baileys and eventually went to bed. I woke early the next morning and went straight to the shop for Immodium, some white bread to make toast and some Lucozade. That was all I could eat all day really, I was feeling shivery and had a good dose of sunstroke I think on top of the fatigue from the marathon. Most of that next day was spent on my own not feeling great, this added to the low feelings I was experiencing. Part of the problem was that in order to keep focussed, do the training, and avoid potentially negative situations that could affect the success of this goal and others I was working on artistically, I had to put my blinkers on and avoid people and situations that my gut was telling me were not conducive to my growth . So coincidentally I had isolated myself somewhat socially. It was a hard pill to swallow to some degree but it this was the only way I felt I could keep my souls energy in the right place to achieve my goals and keep everything moving. I didn’t have the romantic ending at the finish line I had dreamed of, I didn’t make the time that I had aimed for and I had nobody to celebrate my success of achievement with, it was just me. I really imagined that there was going to be some surprise for me at the end after all my effort. As the loud speaker announced lost children and people that were trying to find each other, inside I secretly hoped I’d here an announcement for DJitalEssence to come to the stand and that someone was looking for me, but nope, nobody had come to support me. 5,000+ “so called” friends on Facebook and not one of them there to support me, however I was thankful to the few that had sponsored me and sent me kind words of encouragement and congratulations. In truth though at this time I felt very alone and unloved. This set the precedence for the next few days really, I was feeling pretty low, I wanted to go out and go mad and celebrate but I had nobody to party with, or I was not close enough to the vibes and people I really wanted to party with. I wanted to be in London and see some of my old friends and faces but I was stranded by circumstance where I was for now and just had to keep going. This circumstance added to my unhappiness and then doubts and other things began to creep into my mind. Doubts about my music, doubts about whether I should bother continuing with it, doubts that anyone even liked what I do or that I was good enough. I had sacrificed everything over the past few years to heal my soul, to focus on making something of everything I had studied so hard for, believing in a dream because it was all I had to cling to for a long time. I had to know I had given myself the best possible chance of success where my passions lay, so later in life I could never look back in anger and say I wish I had. 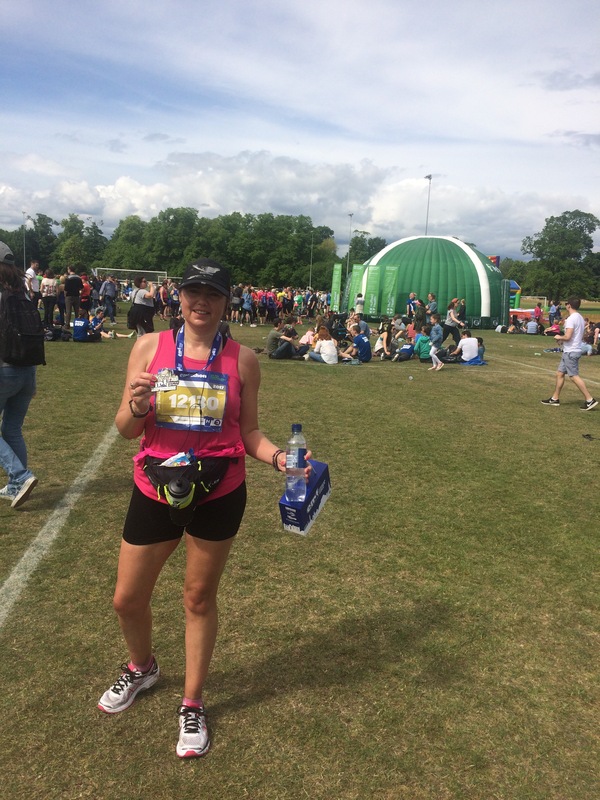 But now, in this time of reflection, having achieved so much and worked so hard, at the end of this milestone having run my first full marathon all I could feel was emptiness. No friends, no holidays for years, not much money, no boyfriend, no love, nothing but a heap of music, a few medals, certificates of education and a soul that was elevated but quite alone in that space. It took me a couple of weeks to re-settle myself after this experience. Training for the marathon took me to heights higher than my soul had ever reached before, in the short aftermath, naturally I had to have a bit of a come down, but then as I levelled out again after I found myself in a new place of happiness and contentment that I’d never experienced before. I felt good enough, I felt I had ticked that box and in doing that it had somehow also affected how I felt about other areas of my life’s achievements. I suddenly felt a new sense of freedom, I didn’t feel the same need to set another goal, I didn’t even really care about my music, I had just found some contentment in myself that I had never experienced before. A new sense of me, not feeling I had to DO anything else or show the world anything else to feel successful or worthy. The whole experience raised the level of my life’s vibration, spiritually, emotionally, mentally and physically. I’d recommend the challenge to anyone. Earlier today I was speaking to a friend of mine about success. Feeling successful and having done some things that you have made a success of to some extent, are very different. A bit like training for a marathon, in training it is a success to manage a 15 mile run because that is the furthest you have ever run, but it is not the end of the race or through the finish line. Over the past few years, there have been many small milestones of success I have managed to achieve, some more poignant and visible and others more internal. There are only a few of these milestones that rewarded me with anything apart from the personal satisfaction or improvement I could feel. In 2008 I challenged myself to run my first 10K and at the end of that race there was this great feeling of pride and achievement as I puffed my way through the finish line. The second time I ran that same distance, the achievement hit was less powerful, so the following year I stepped up the challenge to run a half marathon, a bit like a junkie might have to up his dose of a drug to get a better hit the next time. 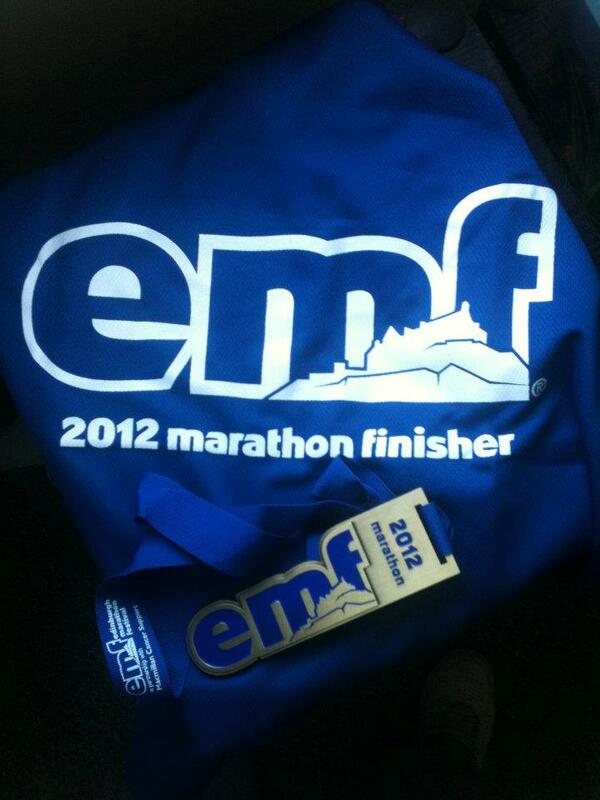 In parallel to running these distance events I was also running another marathon of sorts, a musical one. I had a goal of sorts in my mind that I was trying to achieve but with this goal there is no finish line, no distance set, no known finish line, no mapped out route, nothing but the distance with no definite successful end point to aim for. So blindly I have been wading my way through the tasks at hand and music expression trying to find some way to success as I envision it to be. House music in all it’s forms has been my running partner in life race and in more reccent times with greater spiritual awareness and faith, more and more, the map that I am following is drawn out by trusting my inner self and guidance. I don’t make music to a format, I make music from my heart. I don’t try to fit into anything that is already made, I take all that I am, all that is influencing my current state of expression and just allow that to flow, be that to the taste of other or not. I try not to look at others in the race in comparison, just put my blinkers on and keep it moving to the best of my own ability with what I have to hand, because that is all I can do. I work hard, I have worked on my self, my mind, my body and my soul, my education, built my skills, built music, taught myself a lot of what I know, but still not reached what I feel will be that feeling of success despite exeeding many expectations I had about myself. I get frustrated sometimes because I don’t have all the skills and better equipment I feel I need to make me more successful, or give me a better shot at being successful. But how do you become successful, what is the winning formula that gets you through that golden gate, that is what I am still working on. The bar seems to just keep rising the closer you feel you are getting to it, but it is partly me that keeps re-setting it really, because even though I achieve a certain stage, once I get there I still don’t feel satisfied, I still want more. I want to build a better tune, I want to write and sing a better song, I want my mastered end products to sound better, they are still not good enough to me, therefore I cannot feel success. Equally I have not been rewarded to any great extent by way of notoriety or financial gain and without that, though the personal satisfaction is there, to have another or others pat you on the back in some way does qualify things just that little bit more. The only rewards have been my own self satisfaction, the momentary feeling of joy you get when you finish the latest track and you think it is your best track yet, but that soon dies, because you soon get that feeling that you need to make a better one, because the phone is not ringing like mad with people saying how wonderful it was! I amagine though even if the phone did start ringing like mad and one track was deemed brilliant, that after that the race is still on to make another brilliant track, so you are still running that race. With music, there is only running, there is only the continual marathon, staying in it, keeping it moving, there is no finish line until you give up, if you ever give up, or until you die. This is why I find it is important to do things that have a finish line in tandem with music. I am someone now that needs to feel I’ve got through a finish line in at least something in my life, at least by running and taking part in events as part of my life I get that sense of success and achievement, I get a medal or a certificate to put on my wall, I get the feel good factor of raising some money for others. I get a few pats on the back from others that my music and setting up my own label business doesn’t give me because the fruits of that labour are yet to be harvested and are not visible to others until that day. As I approach the last months training for my first full marathon on May 27th I am looking forward to getting through that finish line and the feeling of joy that I have achieved something that does have a visible finish line as I continue with my passions and dreams with music that don’t have that same definite route or ending.